It was a pleasure dealing with Out of Hand Scotland for my flyer and poster printing and distribution needs during the 2014 Edinburgh Fringe. The quality of the print material was excellent and all were printed and delivered on a timely basis as per very specific instructions, because I was dealing with two shows in two different venues while based in Canada. But I especially appreciated the quick response and turnaround in the middle of the Fringe, at an incredibly busy time for everybody, when I had to unexpectedly and quickly re-order some materials, which was looked after and delivered promptly as promised. I look forward to working with Out of Hand again in the future. Shortlist Media is an award-winning freemium media company and a leading digital publisher. We create original magazines and digital brands within an inspiring, fast-paced, entrepreneurial environment. We distribute around 1 million copies of our magazines every week. I have worked with Out of Hand in Edinburgh as part of our national distribution network for a number of years and have always found the team to be professional, forward thinking, honest and genuine all-round good people to work with. We wholeheartedly endorse their distribution services. Out of Hand Scotland do all of the printing of my business cards and flyers and the service has been faultless, with quick turnaround times, high quality products and friendly staff who will go out of their way to help you, topped off with very competitive prices. Thank you to all of the Out of Hand team! I just wanted to take a moment to thank Out Of Hand very much for the perfect service you have been providing us in the last couple of years. We just recently received over 6,000 flyers of excellent print and quality paper, and felt very lucky to have chosen your Company. The process of ordering and receiving was absolutely pain free. It’s very hard to find a good printing service in Edinburgh. Our Company has in the past experienced poor customer service and poor quality prints.However, Out Of Hand has always proven to be the best, with an outstandingly attentive and friendly service, and a very impressive finished product. Their prices are very reasonable as well, especially considering the level of service and quality stock/finishes offered. We strongly recommend to anyone to get their prints and distribution services, as they are outstanding. Thanks again for such a wonderful job, and for your caring attitude towards your clientele. Out of Hand Scotland is a professional, reliable and consistent business that are easy to work with, quick to understand your brief and ensure they target the correct audience for good value distribution, with a local touch. 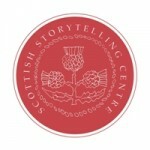 The Scottish Storytelling Centre and associated Festivals have not been disappointed by the bespoke distribution service received, which was done within deadline at a high standard, with great communication all the way. Out of Hand are a great company to work with. Helpful team, reasonably priced and great quality. We would definitely recommend them. In 2014 Macsween became the first haggis company to make forays into the Edinburgh Fringe festival and it was great to see our posters displayed in prominent locations throughout the city. I have used Out of Hand Scotland several times and I already have a future project for which I will be using their services. They have printed fliers, posters and vinyl banners for my photographic exhibitions and they always do a fantastic job with affordable prices and rapid turnaround. I highly recommend Out of Hand Scotland for print jobs. Out of Hand Scotland have undertaken a number of projects for us in recent years and we have received excellent service, great end results and within budget each time. Having worked with Out of Hand Scotland many times in the past I’ve always found them to be incredibly helpful and efficient and a great organisation to work with to effectively target different markets across the city. Gardening Scotland has used Out of Hand over the past few years and we have found that nothing is ever too much, the Out of Hand team are always very accommodating especially when a quick turnaround is needed on printing. I would happily recommend them to anyone who is looking for a good quality, reliable print production alongside extensive knowledge of the best distribution channels for your business. We will continue to use and support Out of Hand for the foreseeable future. Huge thanks, again, for being so easy and straightforward to deal with. Speaking as an old hand I’m most impressed. Director and winner of the 2014 BBC Community Hero Award for Services to The Arts.